When I occasionally host interviews my aim (as with the rest of my blog) is to share best practice and know-how that I think will help fellow children’s authors. Today is no exception and without further ado I’d like to introduce London-based picture book children’s author Shweta Aggarwal. 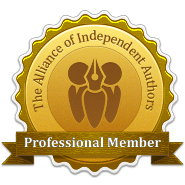 Shweta first came to my attention when she contacted me through the Alliance of Independent Authors to ask advice about approaching schools with her new book, Dev and Ollie – Kite Crazy. As well as referring her to my more general children’s book marketing posts and to my Indie Recon video presentation on Self-publishing and marketing children’s picture books, I asked Shweta to email me a PDF of the story to enable me to take a look through. I was immediately taken with her delightfully colourful adventure in which young Dev is given a new kite for his birthday but doesn’t know how to fly it and is whisked off to India overnight by his bedtime magical owl, Ollie. Here he gets to join in the Gujarat Kite Festival — one of the largest kite festivals in the world and is returned home an expert kite flyer! The combination of the magical trip to India, the kite flying and multi-cultural festival themes, not to mention the vibrant illustrations made offering suggestions as to how Shweta might break out a session for little ones – and what props she might take – extremely easy! Variety is key and there is plenty of it in this story to draw on. Shweta not only ran a very successful school session, but went on to host two events during October half term that led to many sales and lots of very satisfied young customers. And, as if that wasn’t enough, she was lucky enough to be selected by Amazon to be featured as part of their Black Friday deals! Below I find out more about the story behind the story and how Shweta has gone about marketing her picture book. Dev and Ollie’s Kite Crazy adventure is a wonderful tale and the tradition of kite flying is something children everywhere will be fascinated to learn about. What gave you the idea to write the story? The idea of writing about festivals came to me whilst attending a festival in Watford a couple of years ago. Indian by origin and having grown up in Japan, I now live in England with my family. My upbringing has been that of a global citizen. And after having children, I am keen for my children to be global citizens while also to be proud of their own culture and heritage. Also, adding variety to their bookshelf is something I actively work on. In fact, my mission is for ALL children not just to be reading well, but to be well read. So I created the characters Dev and Ollie with a universal appeal. And as my mission is to impart cultural knowledge, I believe festivals are the best subject for the stories. Festivals evoke the best of any culture! Colour, noise, excitement, family, laughter – all are perfect ingredients for children’s stories. During my time in India from 1995 to 1999 for my undergraduate degree in computer science, I travelled extensively within India. That’s when I experienced an array of amazing festivals. Kite Crazy is about one such cherished experience, the annual kite festival in Gujarat, India where I flew kites on the rooftop with cousins from dawn till dusk. Food, drinks, piles of kites, everything would be planned for. We’d fight to have a go (because we had fewer kites remaining than the number of cousins!). Then seconds later, we’d be ganging up and competing against others on neighbouring roof terraces. You recently organised an event to promote Kite Crazy. Can you tell us a little bit about it? What did it entail? I organised two book readings and kite making competitions; one in Central London at the Indian High Commission cultural wing and the other at Harrow Arts Centre. Both launches went really well. The highlight of both events was children making their kites…they absolutely loved it! In the end I gave a little prize for the best kite and Ollie stickers to all other children for participating. I decorated the rooms with simple handmade kites. A little personal touch of asking all children to bring along their cuddly toy as they sit and listen to the story worked wonders too. How did you get your audience along? I have to say that Facebook is the best medium for me personally as there’s no better way of connecting with mothers’ network groups. I posted the invite on various groups and that was it! Printed leaflets didn’t even get me 5% of the traction I received on Facebook. Perhaps what also helped was that the book reading was a free event over half term and parents are always looking for activities then to fill the day. Almost everyone who came also bought a copy. Some even bought five copies — for Diwali and Xmas presents! How is the story going down with school children? Do they enjoy meeting Ollie? Children love Ollie! A cuddly toy is a great way to break the ice. I start by asking children about their toys and all the wonderful magical things their toys do…some very entertaining stories unfold there! So far I’ve had a phenomenal response from children, teachers and parents! I believe Kite Crazy is a story any child can enjoy because it’s a cultural, festival experience without any religious context. And my hidden mission behind this book is also for children to enjoy gadget free activities. Kite flying is a very refreshing experience. How did you find your illustrator? Where is he based? As I have no prior experience or contacts in the publishing world, finding the right illustrator was like searching for a needle in a haystack. So I did just that…I searched on Freelance.com. I asked eight illustrators to submit character sketches of Dev and Ollie. Some were British, some from Eastern Europe and a couple from India. Somnath Chatterjee, based in Calcutta, India, was the first person who came back to me and in fact also turned out to be the only illustrator who translated my vision perfectly. Do you brief him tightly or let him come up with the illustrations based on the story? I would say it’s a combination of both. I start with very brief bullet points for every illustration and ask him for his ideas too based on the manuscript. Then after receiving the initial sketches, I go through it thoroughly looking for any details to be added that will bring the illustration alive. Tell us about the Amazon 40% deal you were offered – were you surprised? And were you able to make the most of it? I was very surprised! As it’s still early days, Kite Crazy hasn’t reached thousands of readers yet. But it’s been receiving amazing reviews and I think that’s what must have mattered because a few days after the initial deal, I was offered another deal again! The flash deals on Amazon help tremendously in reaching out to a wider & new audience. I see it as an entirely positive thing even though your book value is drastically reduced. It’s the best marketing because I’ve seen sales go up significantly even after the flash deal ended. Who did you use to print the book and what does it retail at? Are you happy with the finished product? The book is available using using print on demand (POD) on Amazon via CreateSpace and via Ingram Spark for wider distribution. The cover is glossy and of great quality. The colours are just right. The only minor setback I had when I first received a physical copy of the book is the internal paper quality with POD. For a children’s picture book particularly the quality and thickness of paper is extremely important. I decided to stick with CreateSpace POD and drop the price the book to £4.99 instead of asking for £5.99. I do have some copies printed from a traditional printer — Oxted Printers with much thicker paper. I sell those books in schools at £5.99 explaining the difference and parents are happy with that. This is exactly the approach I took with Ferdinand Fox’s Big Sleep, as you know. It’s certainly unnerving ordering stock up front but on the upside I’ve found that I can make a better margin on sales from my short-run books. I assume you’ve found likewise? My profit margin is three times that of what I receive via CS. It’s a tricky one because we all know, the larger the print run, the greater the profit. But then stocking a large number of books becomes a problem. I do plan on selling books on my website too and giving customers the option of purchasing directly on Amazon or the website (with extra added perks such as a free key ring etc). You have a very nice ‘Facts For Curious Minds’ educational section at the end of your story — with facts and figures. Has that proven popular with children/parents/teachers? Thank you! I was told by some publishers that this is overtly educational and that in fact the whole book is! However I disagreed and went with my gut instinct. And now many parents and teachers comment on how they find the section at the end very useful. Some even say it’s the one of the highlights of the book! Are there annual kite flying events in the UK that our children should know about? The Kite Society of Great Britain is a fantastic resource for information on kite festivals and events taking place around the country. Portsmouth International Kite Festival, which takes place in August every year, is a perfect day out by the sea and it’s free! And for those living in London, there’s nothing like flying a kite in Primrose Hill Park on a beautiful sunny summer day. The views are spectacular and the winds are just right for kite flying. I took my kids there this summer and they just didn’t want to leave! We spent hours just flying a kite (before and after lunch). I learnt how to make one recently since I started with the book readings. It’s surprisingly easy to make and a perfect activity for little as it doesn’t take too long either. The only tricky bit is getting the right type of paper and string if you want your kite to actually fly! I tend to use a heavier paper because children can rip thinner paper easily. But they are more than happy anyway just to be able to make one! 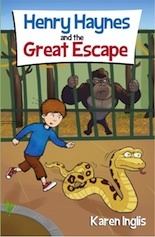 This entry was posted in Blog Update, Children's Books, Marketing, Uncategorized. Bookmark the permalink.